It's my opinion, male golfers need to rethink, the way they view the game of golf and those that they, look to as role models. Typically, a male golfer plays golf with other men, takes lessons from a male pro, watches male professional golf on TV, and goes to PGA Tour golf tournaments. The LPGA is in trouble and possibly wouldn't, be if men would stop and think for a moment. It's my opinion that men don't take the game seriously enough when they're not playing golf. They watch players like Tiger, Bubba, Phil, and Dustin and don't seem to realize that what they're watching does not relate to their game. The average amateur golfer has trouble driving a ball straight and when they do it doesn't typically go, further than 210 to 240 yards, if that. Let's see, the average PGA Tour drive is approximately 300+ yards and the average LPGA. Tour drive travels about 260+ yards. I fail to see how men watching the PGA professionals can learn as much as they could learn if they were watching the LPGA. The women pros drive the ball distances that are much more attainable by amateur men golfers and have coordinated power swings that the average male golfer has a realistic possibility of copying. I'm not suggesting that men stop watching PGA golf. But please, don't try to tell me that they're perfectly happy with their golf games. I hear them on the links as they let fly those expletives of supreme happiness. It's obvious that they're not exactly expressing their utter joy about how well they're playing. Wouldn't it be reasonable for them to seriously think about how they can improve their golf games and their attitudes? It only seems to make sense that if men want to improve their golf games and be happier, they should watch LPGA golf and go to the women's tournaments. There's no need for them to stop viewing the PGA players, just keep doing it as entertainment only. It's the LPGA that they should watch and study to improve their performances. The LPGA pros generate swing speeds that are much closer to that of the average male golfer with upper body strengths that are much similar as well. Trying to emulate the PGA Tour pros will only serve to frustrate the average male golfer as they'll never be able to match their swing speeds or never be able to pull off the power shots the PGA players can. 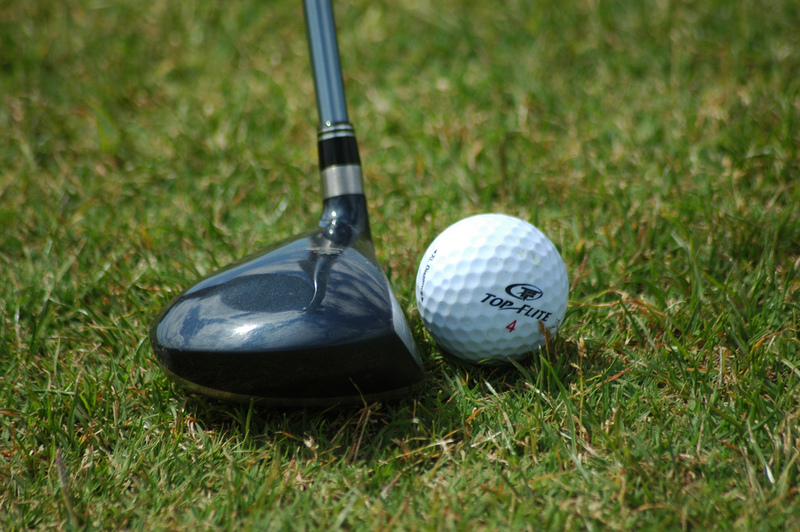 It's not because none of the amateurs have the strength of the pros as certainly some do; but, it's the blend of physical strength, tempo, timing, and overall coordination that makes the PGA professional's swing far superior to that of the average golfer. In other words, the PGA Tour players play is far beyond, not just "a little" outside the reach of the average amateur. Now don't get me wrong, I'm not suggesting the LPGA golfers have inferior swings to their male counterparts on the PGA Tour. I'm merely bringing to light that some of the physical characteristics of the women pros' swings are more within the realm of possibility for average male golfers to attempt to emulate. As they attempt to mimic what they see the women pros do, they at least may have a more realistic role model for the distances and power that's attainable. The guys need to put aside the machismo and get serious about improving their swings by changing who they imitate.